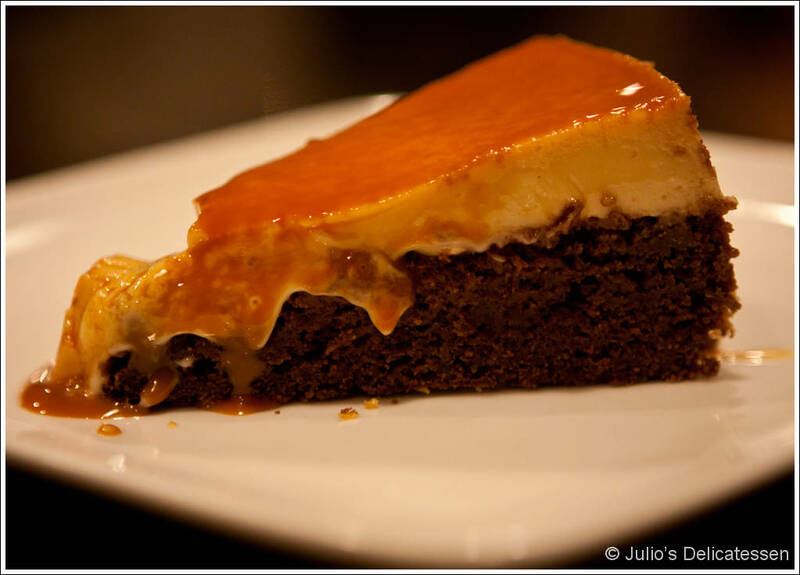 This dessert is also known as pastel imposible – impossible cake. As you can see below, the cake batter and the flan switch places in the oven. My oldest daughter requested this as the birthday cake for her 9th birthday party, capping an all-Rick-Bayless menu of tequila-infused queso fundido, guacamole, fajitas made with grilled chicken and chipotle flank steak, fried black beans, chorizo, and Mexican red rice – all made using Rick Bayless recipes. Preheat oven to 350 degrees. Butter the bottom and sides of a 10” cake pan with sides at least 3 inches tall. Coat evenly with a light dusting of flour. 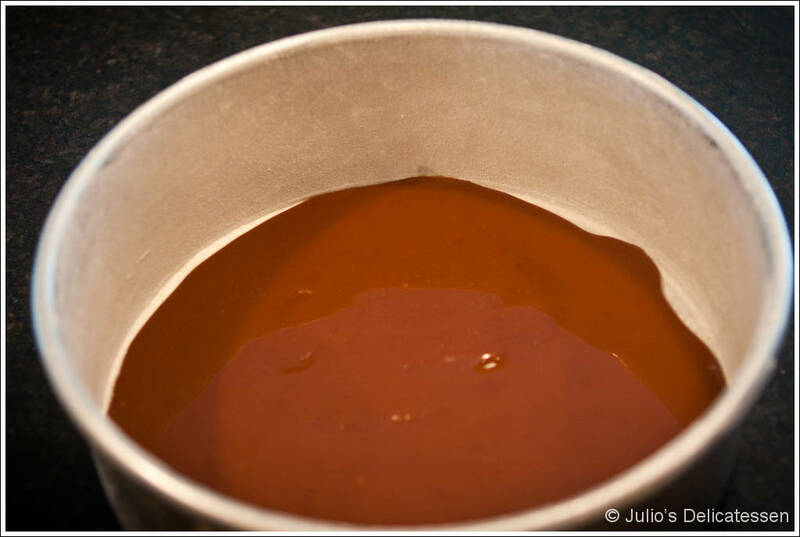 Pour the cajeta evenly over the bottom of the pan, covering it completely. 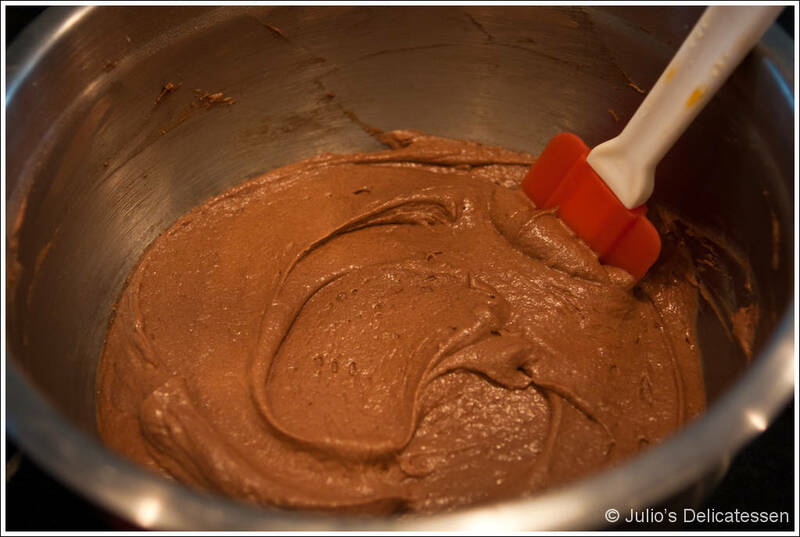 Make the cake batter – beat the butter and sugar until light in color and well-combined. 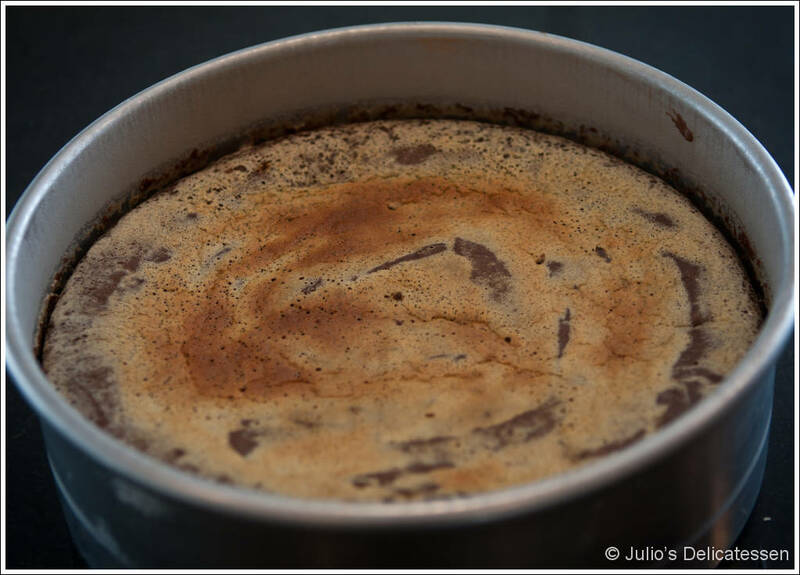 Scrape down the sides of the bowl and add the egg and espresso until fully incorporated. Sift together all of the dry ingredients. 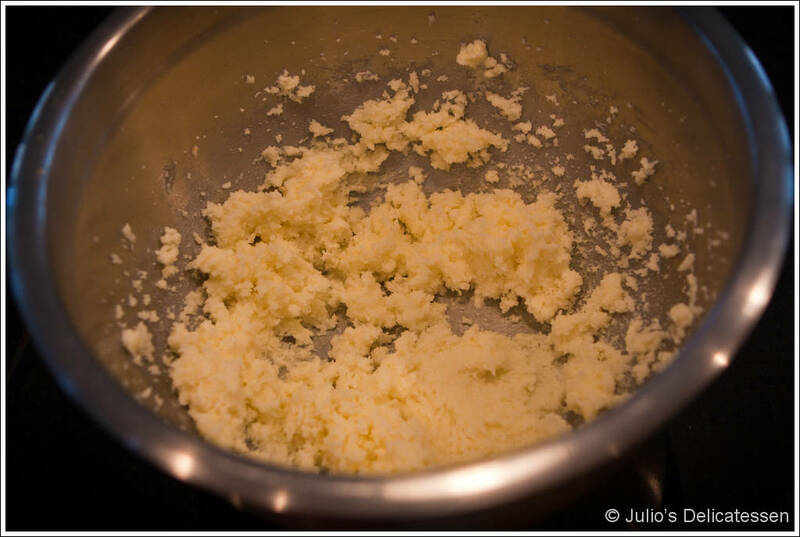 Add half of the dry ingredients to the butter mixture, then half the buttermilk, then the remaining dry ingredients, then the remaining buttermilk, mixing continuously. Beat for one minute after everything is fully combined. 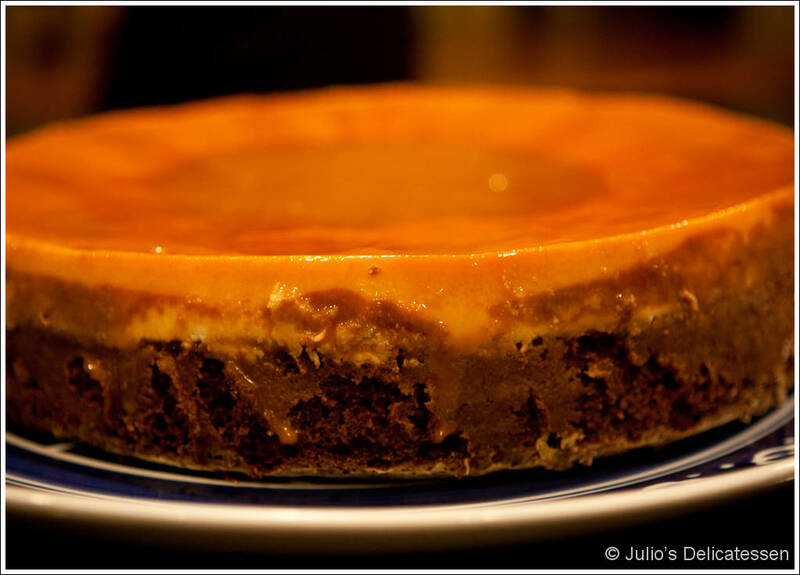 Make the flan – combine everything in a blender until smooth. 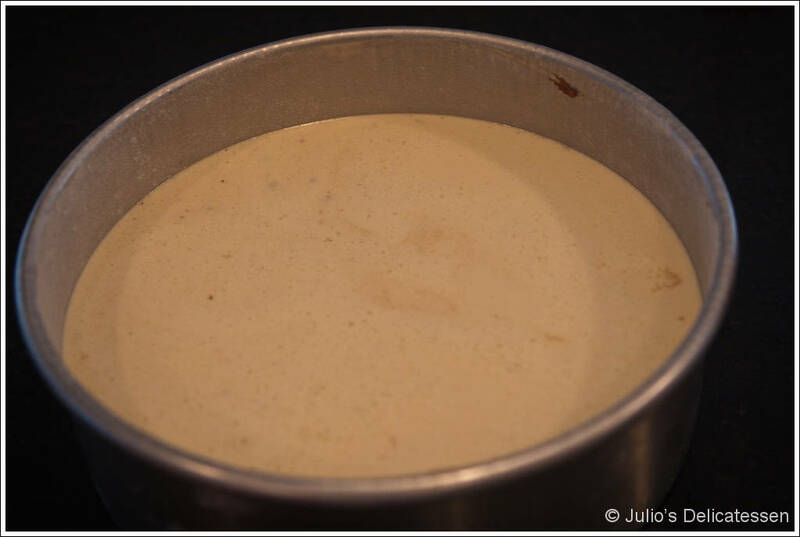 Finish the cake – Scrape the cake batter into the pan, carefully spreading it over the cajeta. Smooth the top. 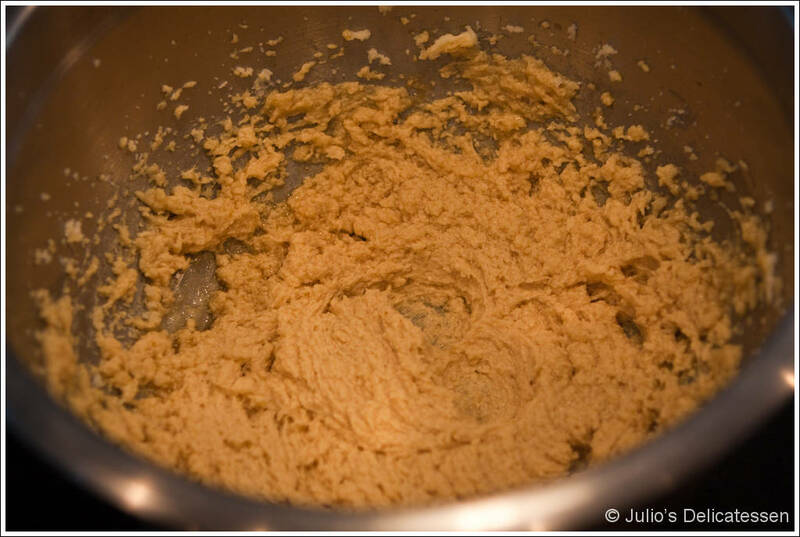 Slowly add the flan mixture on top of the cake batter. 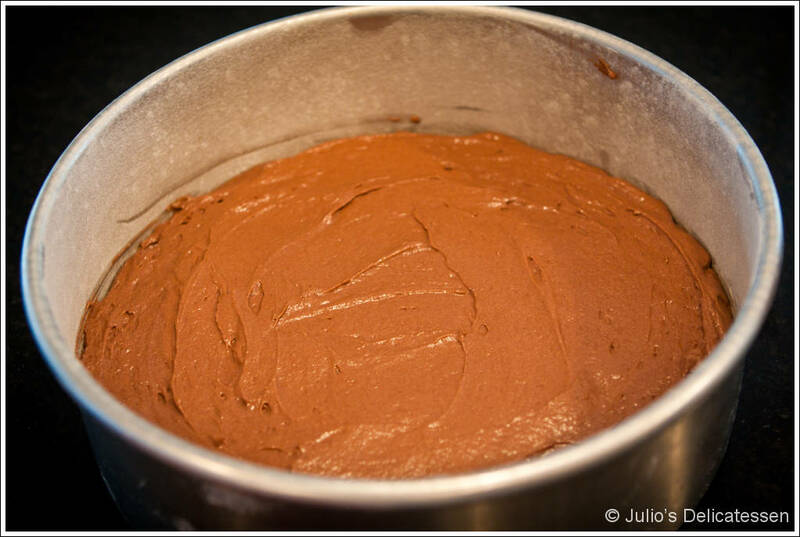 Place the cake pan in a larger dish at least 2 inches deep (think roasting pan). Add hot water to the large pan until it is roughly 1” deep. Bake for 50 – 55 minutes. Remove from the hot water and allow to cool in the pan for at least an hour. You can refrigerate – in the pan – for up to a day or two. Unmold just before serving. Happy Belated Birthday to your beautiful girl. We missed having cake with her this year. And we applaud her menu selection!